This book was written to be used as a learning tool for beginners who read music. 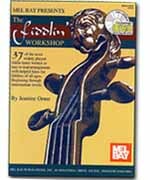 It presents very easy tunes to learn the basics of bowing and style, and progresses in difficulty with each tune. All of the arrangements are renditions that the author plays and has heard other fiddlers play. Many of the tunes are done in the style of Herman Johnson, a five-time National Fiddle Champion.